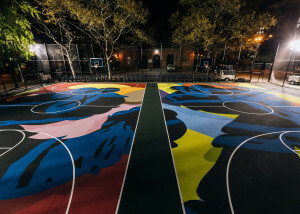 APT’s Laykold Masters was chosen as the surface for Nike’s latest campaign New York Made. 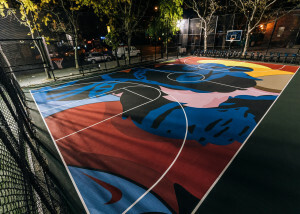 Working in partnership with the New York City Parks and Rec Department, Nike kicked off this campaign with two new courts on Stanton Street, inside Sara D. Roosevelt Park. 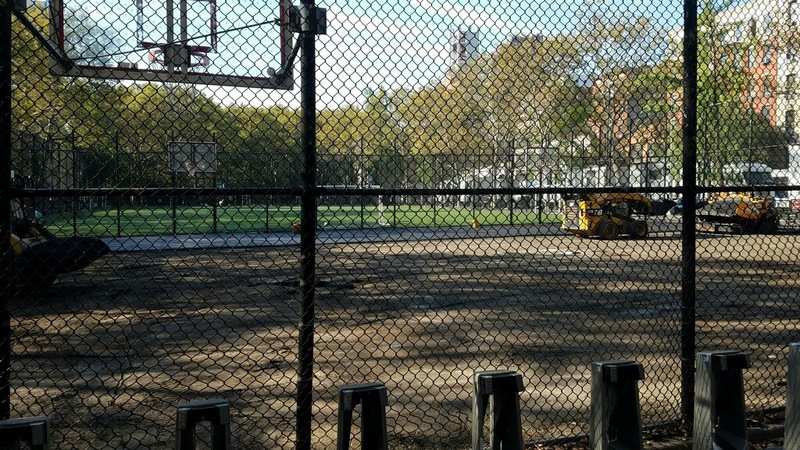 But these aren’t just any courts…. These courts were designed by Brian Donnelly, professionally known as KAWS, a New York-based artist of limited edition toys and clothing. 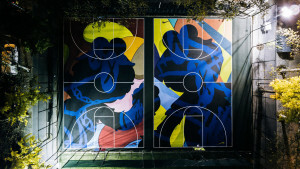 Some of his achievements over the years include the design of MTV’s Moon Man statue for the MTV Video Music Awards, various magazine covers, as well as cover art and merchandise designs for high profile recording artists such as Kanye West and Pharrell Williams. 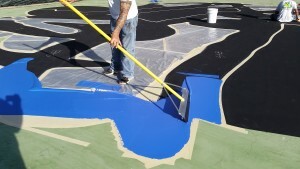 Laykold has a strong reputation in the sports court market, including being the surface of the Miami Open since 1984. Teamed with APT’s expert technical and customer service staff, the decision was simple, and the Laykold Masters Gel system was chosen as the preferred surface. 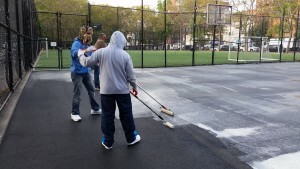 Time was definitely of the essence for this project. APT’s Product Manager, Wesley Baum, worked directly with the artist and matched twenty seven custom colors in only a few days! 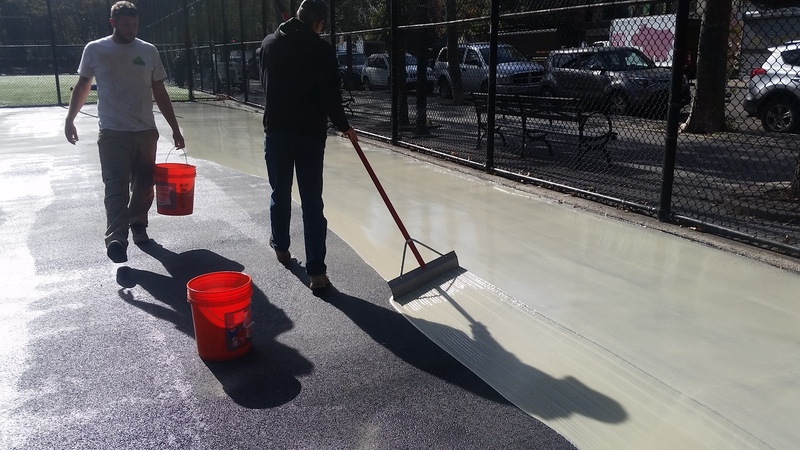 As APT’s staff was working to match and produce the material, Ace Surfaces was hard at work with surface preparations on site as well as preparing the design. “Due to the complexity of the artwork, the design had to be transferred from a drawing to CAD, and from CAD onto the court using Laser Mapping technology,” said Kyle Smallwood of Ace Surfaces. After the surface preparations and base layers were installed, came the detail work. 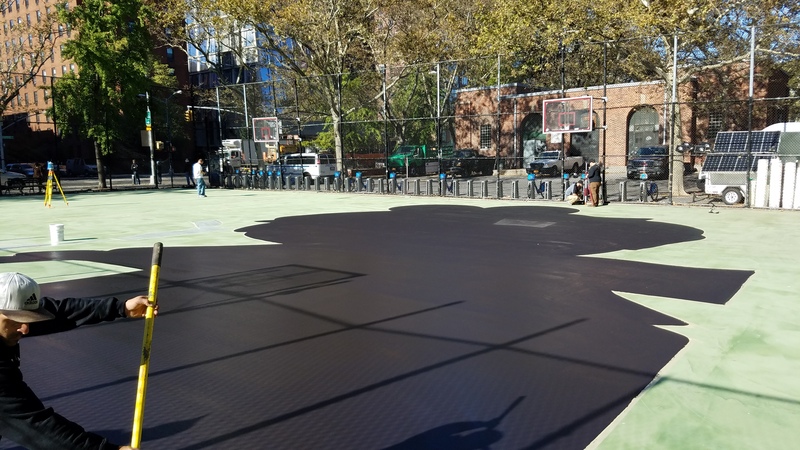 Ace Surface’s crew used just under five miles of tape to mask out the design on the court! 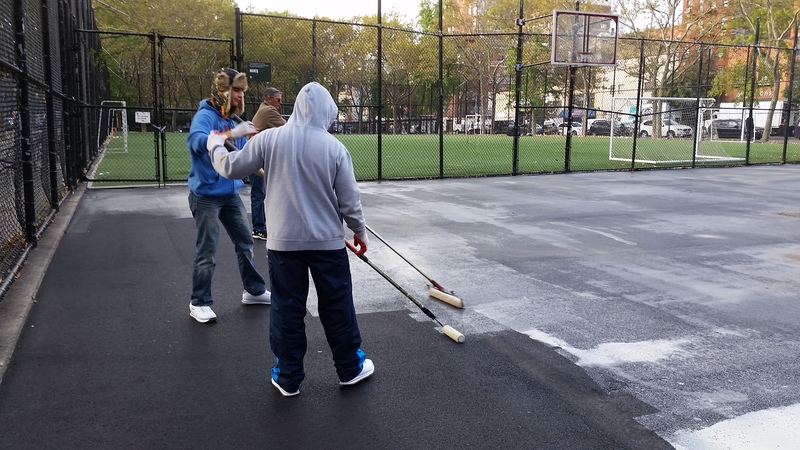 Smallwood said, “We had over one thousand man hours, from Ace Surface’s crew alone, in the painting and surface install of the court.” The entire installation, from milling up the asphalt to project completion was only eighteen days! Another top-notch project that will go down in APT and Laykold history! 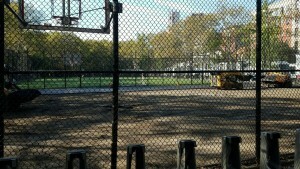 Nobody covers the court like Laykold!